The Apple iPad mini 4 turned three years old this autumn, without any sign of a successor on the horizon. Originally launched back in 2015, the iPad mini 4 hasn't seen any hardware updates over these three years, unlike its more sizeable brethren, which have enjoyed annual refreshes. And with the iPhone SE lineup pretty much dead, many assumed that the same fate would also befall Apple's smallest slate. 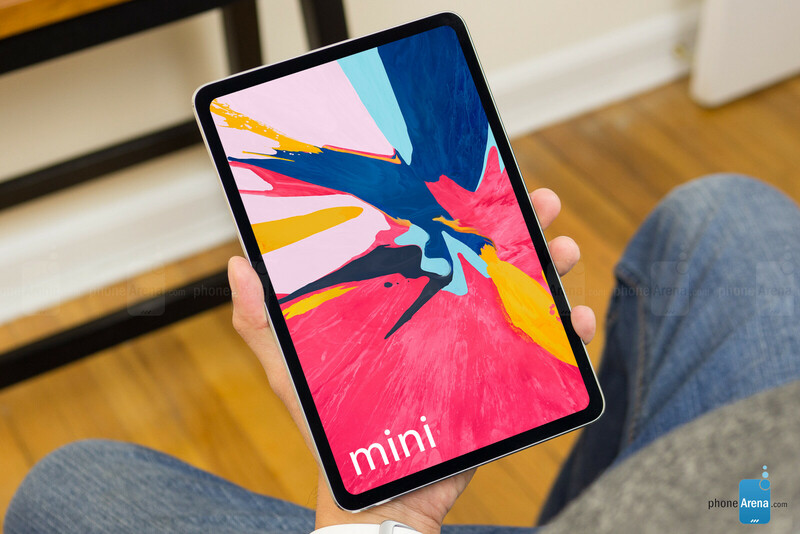 There seems to be a light in the tunnel for the iPad mini, however, with rumors last week making the rounds that a 5th-gen iPad mini is not only in the works, but could launch as early as the first few months of 2019. 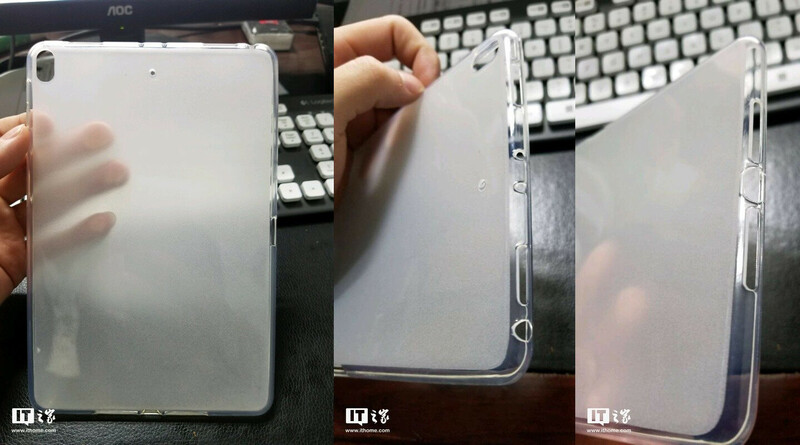 A handful of photos, allegedly depicting a protective case for the iPad mini 5, entered the Chinese blogosphere earlier this month, raising hopes for another compact Apple slate. The case shown in the leaked photos suggests that the device would largely retain the design of the iPad mini 4 (as well as the 3.5mm headphone jack), but could also feature stereo speakers and an improved rear camera. It’s somewhat difficult to make out on the images, but it seems like there's cutout for a headphone jack in the top left corner of the case, as well as another opening that could serve to allow access to a smart connector, though it may be tied to the design of the case itself (could be for a lanyard, for example). However, according to reliable tech leaker Steve H. (@OnLeaks), the case in question could be based on an iPad mini 5 prototype dating as far back as 2016. In other words it could be based on a two-year old design that could have evolved since. Still, if the iPad mini 5 proves real, it is likely going to look quite similar to its predecessor, though the bezels may be thinned down to match the sleeker aesthetics of its larger counterparts. Of course, if Apple decides to pull an iPhone XR and scales down the sleek design of the 2018 iPad Pro to the footprint of the iPad mini, well that would be one seriously cool 8-inch tablet (though we wouldn't hold our breaths for this). Rumors of a new iPad mini have been floating around for a good few months now, with reliable Apple analyst Ming-Chi Kuo also chiming in on the matter. Back in October, Kuo said that the 5th-gen iPad mini would arrive in early 2019, which is in line with the current rumors from China. He also predicted that the new iPad mini will likely employ a cheaper, lower-res display panel, much like the iPhone XR in Apple's smartphone family. An 8-inch iPad with the slim bezels of a 2018 iPad Pro? Sign us up! Elsewhere, Apple is reportedly planning to upgrade its popular 9.7-inch slate next year as well. According to recent rumors, Apple may round the size of its most popular tablet to a full 10 inches. 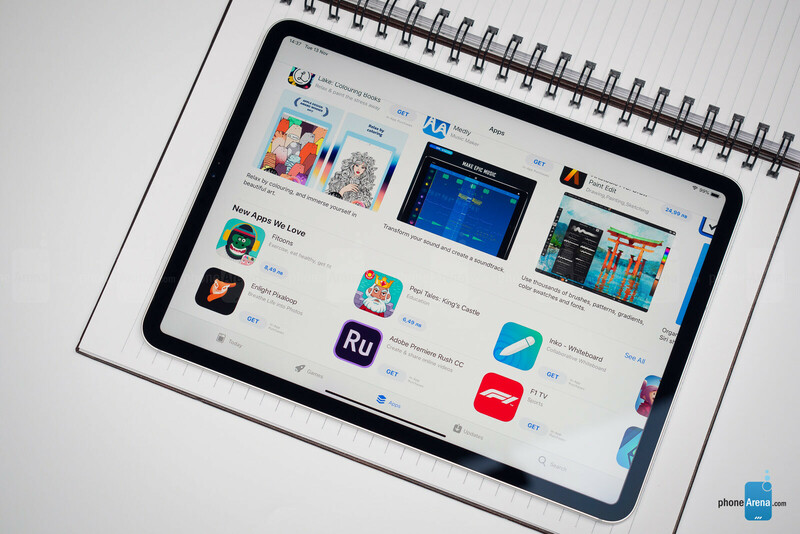 This sixth-generation iPad is also cloaked in mystery, but if the display size increase pans out, one could assume that this will be at the cost of the bezels. In other words – almost unchanged footprint with thinner bezels, likely no Touch ID, and some sort of facial unlock built-in. Hope this one doesn't arrive bent. Stainless steel instead of aluminum Apple. But your holding it wrong. Sign of Apple running out of new idea to make money. She is like Samsung now throw punch out thier and hope one will stick. I hope this is real. I really need to find a replacement for my ipad mini 4 for teaching purposes. One? You're peaceboy the rich. You're gonna pick up 58, and one for fulz. shows how far behind apple is and that they only think ahead!